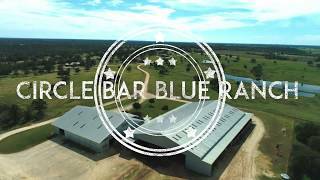 The Circle Bar Blue Ranch is located less than 5 miles from Gonzales. Entering the ranch's gates you're welcomed by a pastoral feeling courtesy of grassy, oak-studded hilltops that descend into dark blue lakes. In the front pasture is an envelope of first-class improvements including a 22 stall horse barn, covered riding arena & a main home built & designed by an accomplished interior designer. Productive grass fields, excellent hunting, & over 1.5 miles of River frontage make this a one-of-a-kind offering!